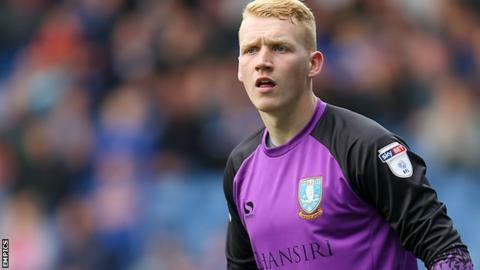 Chesterfield have signed Sheffield Wednesday goalkeeper Cameron Dawson on an emergency loan deal until January. The Spireites asked for permission to bring in a keeper after first choice Joe Anyon broke his arm in the Checkatrade Trophy defeat at Fleetwood. Dawson has made four league appearances for the Owls and has had loan spells at Plymouth and Wycombe. The 22-year-old could play in Saturday's home game against fellow League Two strugglers Barnet.